Budget face masks? Check. Affordable moisturisers? Yeah, I can sort you out. The one skincare question I’ve always struggled to answer though is “What is a good, affordable cleanser?”. Finally the search is over because I’ve found the most amazing cleansing balm and it’s only £14.50. 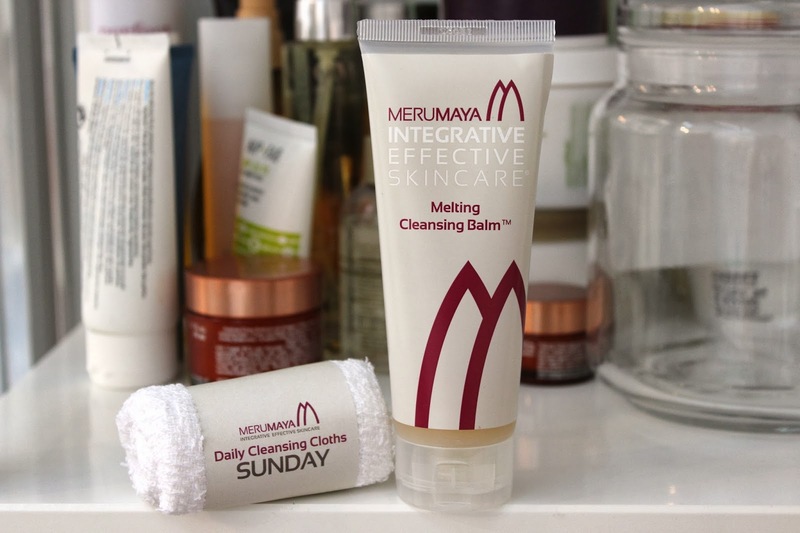 Compared to the £34 Emma Hardie cleansing balm or the £40 Sarah Chapman Cleansing Balm the Merumaya Melting Cleansing Balm is an absolute steal and as much as I do love my high end versions, this one is just as effective. I first heard about this cleanser from Caroline Hirons, so I knew it was worth a try. You massage the balm onto the skin before removing it with a cloth and I noticed it’s not as thick as the others I’ve tried. It also emulsifies when mixed with water and turns into more of a milk so it’s easy to spread around the face. The sweet almond oil helps with moisture whilst the Echium oil helps with fine lines, wrinkles and the skin’s elasticity. I’ve really been enjoying using it in the evening to remove my makeup and I love the fresh laundry scent is has. So there it is, an affordable, effective cleansing balm and it’s available from John Lewis and Debenhams. For a full list of ingredients and a much more extensive review, check Caroline’s post here.